Saturday was a decent day with it being sunny and about 60 degrees so I figured that would be a better day to do the egg hunt since we could do it outside and it would make the morning less hectic. Normally, we just do it on Easter morning in our house but this is not a typical year for many reasons. I had only realized a few weeks before that we wouldn't be in our house for Easter which meant none of my Easter supplied were available to me. Not that it's a big deal but I really didn't want to go and spend money on stuff I already had. Thankfully, Target had these cute felt baskets for $2.50 which totally fit the bill. While Jason distracted the kids inside, I ran out and hid the eggs around my mom's house and then left the three baskets on the front porch and rang the doorbell. The kids were very excited! We had our hunt and then we went and visited Jason's maternal grandmother for a little while. We even dropped by the new house and found that while the front yard had been graded, the back yard had not because the bulldozer broke down in the back yard and they hadn't fixed it yet. Sunday morning arrived ugly and chilly. I had left the kids baskets out on the table but filled with more goodies and a few little prezzies. They all woke up on their own and no one woke me up so they all found their prizes before I got up. Thankfully, my dad pulled out his camera to capture it. We then went up to my MIL's for the day to spend the day with my FIL's side of the family. It was a nice day but I forgot my camera. 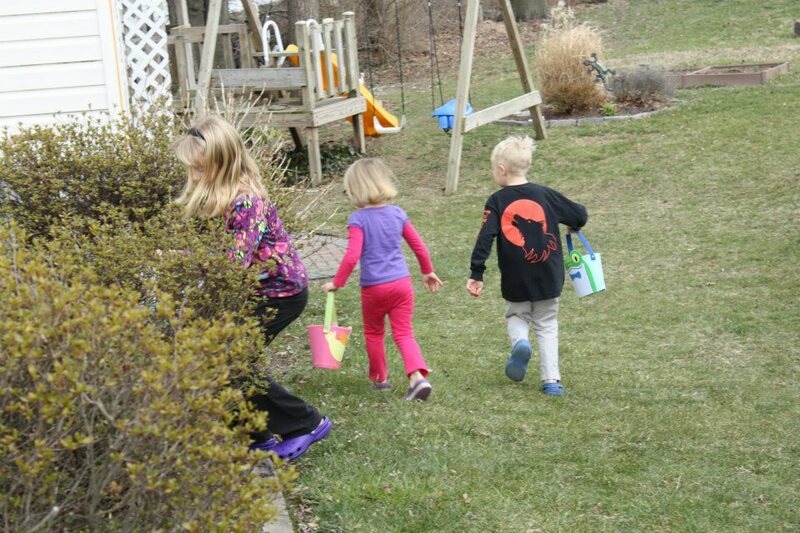 Julie and Jer did an egg hunt for the kids and they were able to squeeze it in before it started raining. Then we came back to my mom's for a light "tasting" supper with my siblings and their loved ones. Easter has never been a big holiday to me. As a kid it meant spending 5+ hours in church and eating ham (which I hate). So as an adult it is an afterthought since we don't go to church and we usually end up going to my parents or Jay's parents. I enjoy putting together baskets for the kids but it's not something I really plan ahead for. I hate eggs so dying eggs seems wasteful to me since we really won't eat them. (Thanks to my IL's for doing that with the kids.) As much as I love Christmas is how much of a humbug I am about Easter. I think on years when the weather is nicer I feel more positive about it. That definitely helps. 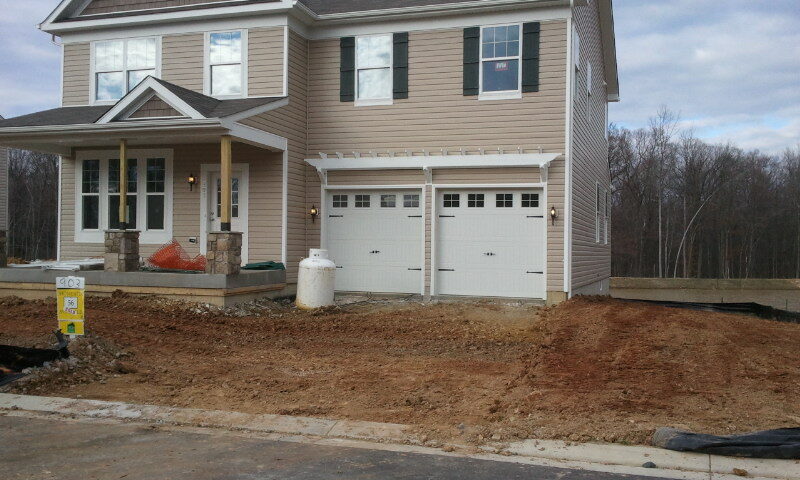 Maybe we'll start some new traditions next year in the new house.